(1) TOLKIEN’S GONDOLIN. Tor.com carries the official word: “J.R.R. Tolkien’s The Fall of Gondolin to Be Published as a Standalone for the First Time”. It will be published August 30. HarperCollins UK announced today that it would publish The Fall of Gondolin, J.R.R. Tolkien’s tale documenting the rise of a great but hidden Elven kingdom and its terrible fall, for the first time as a standalone edition. Edited by Christopher Tolkien using the same “history in sequence” mode that he did for 2017’s standalone edition of Beren and Lúthien, and illustrated by Alan Lee, this edition will collect multiple versions of the story together for the first time. Tolkien has called this story, which he first began writing in 1917, “the first real story of this imaginary world”; i.e., it was one of the first tales to be put to paper. 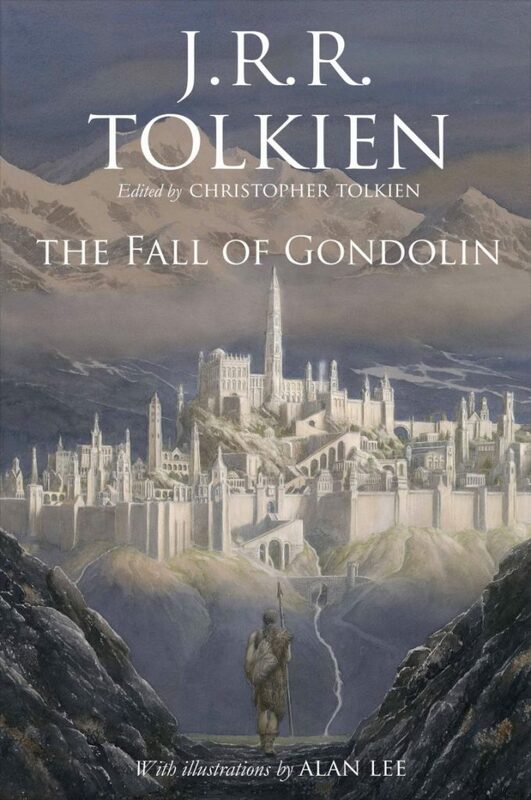 The only complete version of The Fall of Gondolin was published posthumously in The Book of Lost Tales; however, different compressed versions appeared in both The Silmarillion and the collection Unfinished Tales of Númenor and Middle-earth. (2) POTTER ANNIVERSARY COVERS. Gwynne Watkins, in the Yahoo! 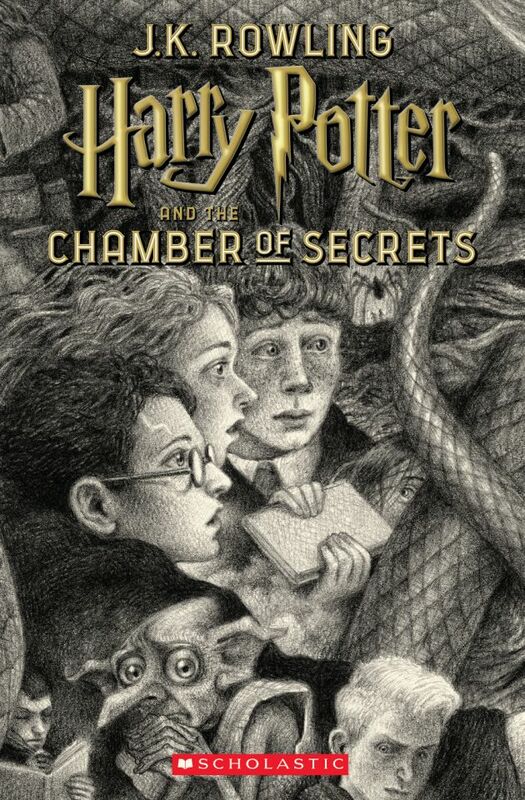 Entertainment story “Accio ‘Harry Potter’ covers: See the dazzling new 20th anniversary artwork”, says the Harry Potter books are coming out with new covers by Brian Selznick, author of The Invention of Hugo Cabret (which was the basis for the movie Hugo). See all the covers at the link. (3) ABOUT THE SIMPSONS’ APU. The Simpsons creators can’t figure out how something people laughed at in the past became “politically incorrect.” (And isn’t that term always a signal flare preceding a complete lack of empathy…) Entertainment Weekly’s Dana Schwartz discusses “Why The Simpsons’ response to the Apu controversy was so heartbreaking: Essay”. …In 2017, comedian Hari Kondabolu wrote and starred in a documentary called The Problem with Apu in which he examined the cultural significance of The Simpsons character Apu Nahasapeemapetilon, the Kwik-E-Mart owner, who speaks with a heavy, stereotypical Indian accent and is voiced by Hank Azaria, a white man. Last night, The Simpsons offered its tepid reply. There’s something about the response that came across as not only tasteless but viscerally unsatisfying. In his documentary, Kondabolu initiated the complex conversation about what it meant to have a white actor voicing an Indian character (with a heavy, caricatured accent) during a time when there was little or no Indian representation in the media. The Simpsons on-air response reveals that the minds behind the long-running animated series either entirely failed to grasp Kondabolu’s point or (perhaps, unfortunately, more likely) they were completely indifferent to it. (4) VAST GALLERY OF SFF ART. Enjoy TheVaultofRetroSciFi — Lots and lots of SF images, from all sorts of media. (5) PARANORMAL ROMANCE. Mad Genius Club’s Amanda S. Green explains why it’s hard to “Know Your Genre – Paranormal Romance”. She disagrees with the definitions posted on some of the leading sites. …So why the confusion about what a PNR is when checking the RITA nominees? Simply put, that confusion rests solely with RWA. A quick check of their website shows this definition for paranormal romance: “Romance novels in which fantasy worlds or paranormal or science fiction elements are an integral part of the plot.” See, there it is. Science fiction elements. This definition might have worked several years ago, before there was an increase in the number of science fiction romance titles. Now, it only confuses the issue and muddies the waters when it comes to readers and booksellers. “Paranormal” doesn’t send most readers into the realm of sf, no way and no how. Yet, for RWA’s purposes, science fiction romance mixes and melds with PNR. Another site has this to say: “Most people hear the words ‘Paranormal Romance’ and visions of sparkly vamps and bare-chested wares seeking virginal human mates spring like crack-addicted leprechauns from the recesses of their minds. While these have certainly been the topic of many a novel **cough** Twilight **cough**, there are so many more topics joining the ranks of Paranormal Romance today. Among them: Shapeshifters—half-human, half-animal beings with the ability to transmute between forms on cue, Angels, Demons, Nephilim, Egyptian Gods and Goddesses, Ancient Greek mythology, and even the occasional Ghost or Alien thrown in for good measure. And I would be amiss in not mentioning the perennial time-traveling, kilt-wearing highlander with the rippling biceps and the heart of gold. His broadsword isn’t the only steely thing about him, if you know what I mean.” Where I have a dispute with the site and its definitions is when it say UF is a sub-genre of PNR. Nope, totally different. (7) FOUNDATIONAL TELEVISION. From Deadline: “Apple Lands Isaac Asimov ‘Foundation’ TV Series From David Goyer & Josh Friedman”. In a competitive situation, Apple has nabbed a TV series adaptation of Foundation, the seminal Isaac Asimov science fiction novel trilogy. The project, from Skydance Television, has been put in development for straight-to-series consideration. 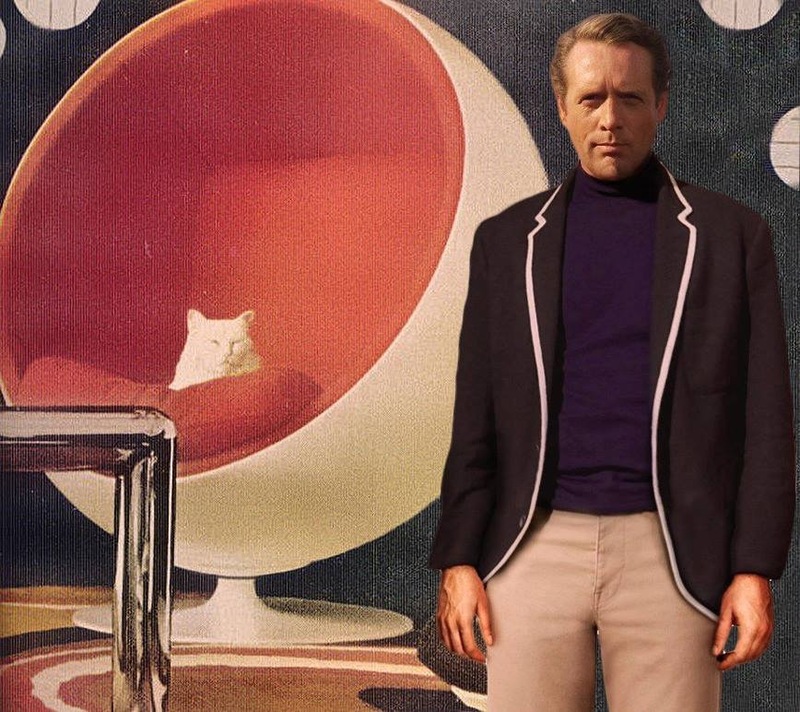 Deadline revealed last June that Skydance had made a deal with the Asimov estate and that David S. Goyer and Josh Friedman were cracking the code on a sprawling series based on the books that informed Star Wars and many other sci-fi films and TV series. Goyer and Friedman will be executive producers and showrunners. Skydance’s David Ellison, Dana Goldberg and Marcy Ross also will executive produce…. (8) TWO BUTLER FANS SEEK FUNDS TO ATTEND WORLDCON. 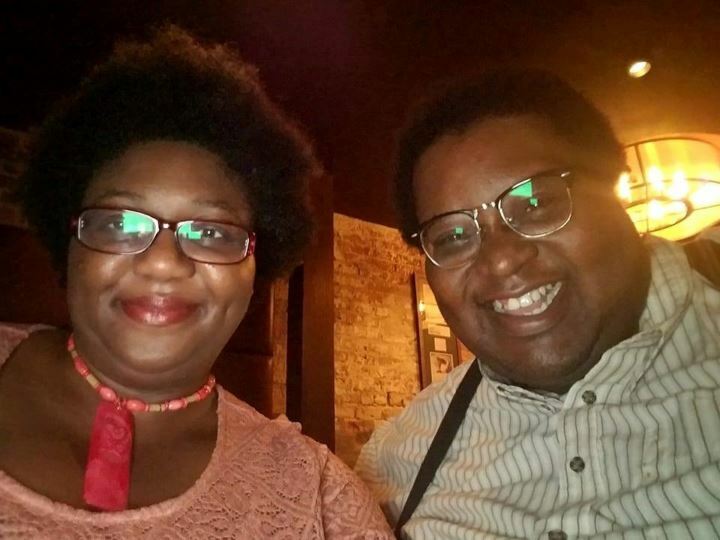 Alex Jennings asks “Help Me and Amanda Emily Smith Get to Worldcon 76” via a YouCaring fundraiser. To date people have chipped in $285 of their $2,500 goal. Last year, Amanda and I both submitted letters to be published in Luminescent Threads: Connections to Octavia Butler. Octavia was a huge influence on both of us, and Amanda and I had met her separately before her death. Both our letters were accepted for publication, and we were so pleased to be a part of such a wonderful project. This event was even more of a milestone for Amanda as this was her first professional sale in the science fiction field. On April 2, the official announcement came down that Letters to Octavia has been chosen as a finalist for the Hugo Award in the category of Related Work! We literally jumped for joy. Honoring one of our greatest influences had lifted us up, as well! The Hugo Awards are basically the Oscars of Science Fiction. Both Amanda and I have dreamed of attending Worldcon and the Hugo Awards all our lives, but we’ve never been able to before. Now that a book we are both in is a finalist, we feel we must get to Worldcon 76 in San Jose by any means necessary. April 10, 1953 — Feature length, full color, 3-D movie premiered: House of Wax starring Vincent Price. (11) CANDLE TIME. Steven H Silver lights up Langford’s birthday cake at Black Gate with “Birthday Reviews: David Langford’s ‘Waiting for the Iron Age’”. (13) READY FOR HIS CLOSEUP. Neil Gaiman will appear on The Big Bang Theory this month. He’s guested on various TV series over the years, sometimes as an animated character, but this will be live action. It’s kind of pathetic there are people tweeting responses that they never heard of him. Who cares? (14) THIS DOCTOR IS NOW IN. ScienceFiction.com reveals that “Peter Cushing’s ‘Doctor Who’ Is Now Canon (Sort Of)”. One of the biggest tasks an anniversary special has is to balance fan service with a story that can stand on its own merits. Among the many ways ‘The Day of the Doctor’ accomplished this rare feat was to feature appearances by multiple incarnations of the Doctor. Though only three were really sharing the spotlight, every version of the beloved Time Lord made at least a brief appearance, mostly through the use of archival footage. On top of this, Steven Moffat even took the opportunity to introduce a new incarnation in the form of the War Doctor, unforgettably brought to life by John Hurt. (15) OUTWARD BOUND. A new find pushes the date back: “Finger bone points to early human exodus”. New research suggests that modern humans were living in Saudi Arabia about 85,000 years ago. A recently discovered finger bone believed to be Homo sapiens was dated using radio isotope techniques. This adds to mounting evidence from Israel, China and Australia, of a widespread dispersal beyond Africa as early as 180,000 years ago. Previously, it was theorised that Homo sapiens did not live continuously outside Africa until 60,000 years ago. (16) MODEST TRIBUTE. The BBC says “Belgrade’s ‘tiny head’ Gagarin statue causes dismay”. The bust of Yuri Gagarin was ordered by the city council last year, and was put up on a street that bears his name, the Blic news website reports. But its appearance – a tiny bust on top of a tall plinth – has been met by a hugely negative reaction, the paper says. “The only way you can see it clearly is to launch yourself into the sky,” the Noizz website says. “While this is somewhat symbolic,” adds writer Ivana Stojanov, “there’s certainly no common sense on show”. (17) IT’S NOT DEAD, JIM. Nerd & Tie’s Trae Dorn tries to figure out what happened: “Cherry City Comic Con Confusingly Cancelled and then Uncancelled?”. …Of course, as a Facebook video, it’s highly unlikely that anyone will really end up watching this. Which really does beg the question: if you uncancel a show no one knows was cancelled, did anything really happen at all? Because right now, most people have no idea. Of course, as a Facebook video, it’s highly unlikely that anyone will really end up watching this. Which really does beg the question: if you uncancel a show no one knows was cancelled, did anything really happen at all? (18) QUICK FLASH. Charles Payseur turns his eye to “Quick Sips – Flash Fiction Online April 2018”. Continuing the newer tradition of coming out with fairly thematically linked issues, Flash Fiction Online presents an April full of fools. Or maybe fooling. Also aliens. Yup, all three stories feature alien beings, and in most of them there’s also a vein of something…well, of someone pulling one over on someone else. Maybe it’s an actress tricking an alien monster to spare Earth, or a group of alien agents trying to set up first contact on the sly, or even the own paranoid post-drunken-weekend-in-Vegas thoughts of a man who might have just married an extraterrestrial. In any case, the stories are largely bright and fun, even when they brush against planet eating and possible invasion. So without further delay, to the reviews! (19) ALL KNOWN BRITISH SFF. At THEN, Rob Hansen’s British fanhistory site, you can find scans of a 1937 British SF Bibliography. Once upon a time, the literary universe was a smaller place. Edited by Douglas W. F. Mayer for the Science Fiction Association and dated August 1937, this was one of the earliest bibliographies to be produced by fandom and contains many titles that would be unfamiliar to a modern reader. A mimeographed publication, it was printed in purple-blue ink, had a soft card wraparound cover, and was stitch-bound. The particular copy scanned for this site includes its unknown previous owner’s checkmarks against many entries. This is a list of books, only. However, it’s still an interesting coincidence that Mayer himself edited Amateur Science Stories #2, where Arthur C. Clarke’s first published story appeared in December 1937. (20) JAWS. Or at least part of a jaw: “Ancient sea reptile was one of the largest animals ever”. Sea reptiles the size of whales swam off the English coast while dinosaurs walked the land, according to a new fossil discovery. The jaw bone, found on a Somerset beach, is giving clues to the ”last of the giants” that roamed the oceans 205 million years ago. The one-metre-long bone came from the mouth of a huge predatory ichthyosaur. The creature would have been one of the largest ever known, behind only blue whales and dinosaurs, say scientists. (21) SUMMER MUNCH. The Meg is slated for release on August 10, 2018. (22) AND DON’T FORGET THESE SHARKES. The Shadow Clarke jury’s Nick Hubble picked six books on the submissions list to review, and tells why in this post. My criteria for the selection of these six titles this year – none of which I have read – was not what I think might be in contention or even necessarily what I think I will personally rate. Instead, I have chosen a range of books that I hope will enable some sort of literary critical discussion of the field as a whole in 2018 (although clearly this remains an entirely subjective choice on my behalf). Therefore, I have tried to mix first-time authors with established novelists, sequels with standalone works, and genre and mainstream literary texts; but I have married this with a practical policy of also choosing books that took my fancy for whatever reason. I was also trying to pick a set of choices similar to the that offered by this year’s shortlist for the BSFA Award for best novel: Nina Allan’s The Rift, Anne Charnock’s Dreams Before the Start of Time,? Mohsin Hamid’s Exit West, and Ann Leckie’s Provenance?. I thought this was a good list because there were different types of novels, all of which I enjoyed (and because I have read them, I have excluded them from my Clarke selection below even though all have been submitted). Despite large differences in approach, these novels share a focus on family relationships that perhaps tells us something about the preoccupations of our age. It would be trite to argue that they simply demonstrate a retreat from political and ideological uncertainty to take refuge in the personal sphere but perhaps they suggest different ways in which politics and relationships are both being reconfigured in an age of digital communication. It will be interesting to see what patterns emerge from the wider Clarke submissions list. (23) ABOUT KRESS. Joe Sherry is not fully satisfied with the book, but it’s close: “Microreview [book]: Tomorrow’s Kin, by Nancy Kress”, at Nerds of a Feather. Once we move past the conclusion of Yesterday’s Kin, the focus remains on Dr. Marianne Jenner as well as pushing in tighter on that of her grandchildren. This is character driven science fiction. Kress explores the impact of Earth’s interaction with a spore cloud that was initially described as a world killer, but she does so through the lens of characters who have become as familiar as family. To a reader not steeped in the nuance and minutiae of science, the unpinning science of Tomorrow’s Kin comes across as fully rigorous as anything in a more traditional “hard” science fiction novel. Kress does not engage in interminable info dumping. I read Tomorrow’s Kin not long after finishing the latest Charles Stross novel, Dark State (my review). There is no real point of comparison between the two novels, except that I generally love the ideas that Stross plays with and wish he did a better job at actually telling the story. That generally isn’t the case with Nancy Kress. She is a far more accomplished writer and is far smoother with her storytelling. Kress’s ideas are just as big and just as bold, but they are strongly integrated into the story. (24) CATS STAR ON SFF. Moshe Feder has discovered the true identify of Number One! Alan Lee, the Academy Award and World Fantasy Award-winning illustrator, will be Artist Guest of Honour at WFC 2013 in Brighton. Sharing a studio with Brian Froud in the 1970s, together Lee and froud created the groundbreaking illustrated book Faeries. Other noted works include the delicate watercolour illustrations for Castles by David Day, Michael Palin’s The Mirrorstone (in collaboration with Richard Seymour), The Moon’s Revenge by Joan Aiken and Merlin Dreams by Peter Dickinson. Lee’s fame is intertwined with that of J.R.R. Tolkien, as illustrator of the 1,200-page centenary edition of The Lord of the Rings trilogy and many other works by and about Tolkien. Lee also won an Oscar in 2004 for Best Art Direction-Set Decoration for his work on Peter Jackson’s The Return of the King. The artist is currently based in New Zealand, working again with Jackson on The Hobbit: An Unexpected Journey and The Hobbit: There and Back Again.